Late Post: I wrote this last week, but with deadlines, traffic and many other commitments, I’m sorry I failed to post it. But I still want to share it. Eleven days before Christmas and I am not feeling excited about the holidays. I am in the Philippines, said to have the longest Christmas season. As early as September, you are sure to hear Christmas carols playing and the festivities roll on until the first week of January. As we drove by a church adorned with parols (holiday lanterns), I candidly shared to my priest friend my lack of enthusiasm for the season. To my surprise, he told me, “I am not a Christmas person myself.” He prefers Easter. 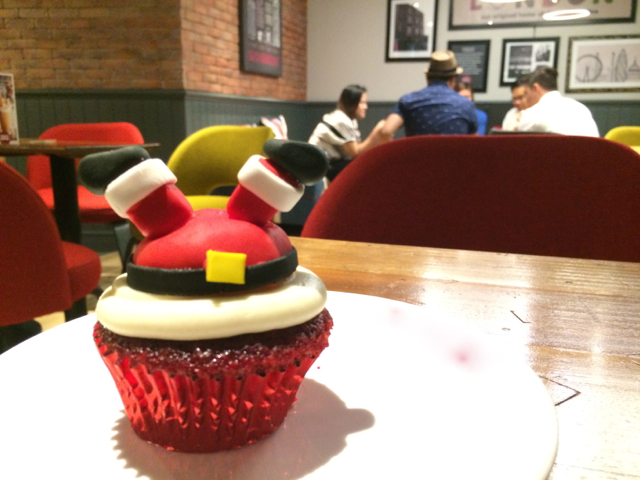 Sometimes he admits, he seems to be just getting through the holidays, in Tagalog, “makaraos lang.” While there is an expectation to be merry during this festive season, not every one is on board. Less than two weeks until Christmas and I have not purchased a single gift. I don’t enjoy shopping. For me, shopping is a task. My ex-boyfriend couldn’t believe a woman who doesn’t like shopping exists. The horrendous holiday traffic in Manila does not help get me in the festive mood. Is this how you feel about the holidays? 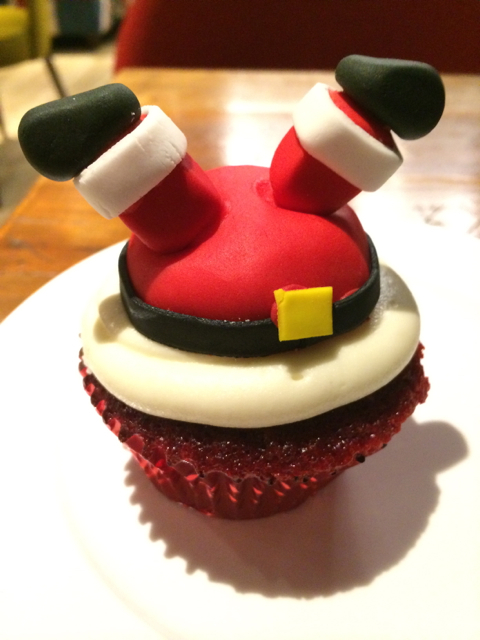 This Red Velvet Cupcake sums up how I felt about the holidays several days ago…. But for the past few weeks, I have been thinking about Christmas gift giving. As I vowed to simply my life, following Marie Kondo’s lead, I went through my things and asked what brings me joy. (See my previous post: Are You Full?). I realized I don’t like many things I own. There are also many things I don’t use or need. Many of these were gifts by people who don’t really know me. It’s not that I am ungrateful. Yes, I appreciate their thoughtfulness and generosity. But they really don’t suit my taste, my size, or my lifestyle. There are long drab, frumpy dresses, or frilly luxury bags. I’ve spent the past weeks, parting with them. It is liberating. But there is still much I have to purge. This Christmas gift I’m giving myself this year is a neat and orderly home. I want to surround myself only with things that are useful or beautiful. Nothing more. So this Christmas, I am on a mission. Here’s my campaign: We have too much stuff. You don’t need to give physical gifts to people to show your love for them. So what will my friends and loved ones receive this Christmas? The gift of EXPERIENCES! Earlier this year, I clearly vowed my desire to collect experiences, not things. As the year ends, what remains with me are memories I’ve made with people: going to an onsen with my best friend in Kyoto, long stories shared over sangria and mojitos, laughing our heads silly in Chinatown in Singapore and eating one of my favorite meals of the year at Burnt Ends with two dear friends, a road trip to Tagaytay, playing dressing up a friend’s costume party, savoring the food, churches, and Michelin starred restaurants in Spain,having long conversations with the world’s best chefs, engaging with interesting strangers in my travels, celebrating milestones with my parents…These are just a few highlights of 2015 for me. Let’s make our lives simpler. Let’s give the gifts of memories. They last longer than gifts wrapped in fancy paper. Often times, they remain in your hearts and memories forever. Have blessed Christmas and a meaningful 2016! Thank you for journeying with Maida’s Touch in 2015. I promise more blog post and events to feed restless appetites in the coming year.